The Pick: As I scrolled through Netflix on night two of my annual pilgrimage that is Shocktober and the 31 Day Horror Movie Challenge, how could I not stop and closer examine a film with a name like Zoombies? 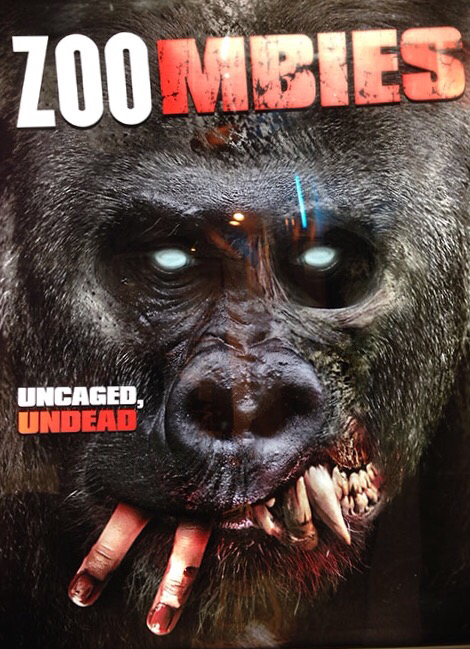 At first, when I had only read the title, I thought the movie might be about zombies that visit a zoo. Then, I thought maybe it was pronounced "zoom-bies", which I briefly imagines as zombies that must zumba everywhere they go. But then I saw the poster art and it cleared things up for me. I mean, look at the poster for this film! Look at the Netflix art, below! How could I resist the siren song of zombified zoo animals? Choice made. The Film: From the artwork alone I had already divined that I would be in for a special treat, so imagine the giddiness I felt when I pressed play and was immediately greeted by the Asylum logo. For those of you that don't spend your free time slumming it in the bowels of made-for-TV low budget horror (you poor souls), this is same company responsible for the Sharknado series on SyFy, 5 Headed Shark Attack, and the forever beloved children's classic CarGo! When you see the Asylum logo before a piece of cinema, you know you are in for a special kind of schlock which, dear reader, I mean in the most loving way possible. Pitch Person: Audiences really liked and connected with Jurrasic World. Imagine a theme park where dinosaurs roam the earth, but of course get loose and wreck havoc. Now imagine that those dinosaurs are also zombies. We call it, Zombisaurus Park! Asylum Executive: I love it! But our special effect guys just finished African Safari Massacre 6, and we've got all these assets to reuse. Pitch Person: We'll call it, Zoombies! Asylum Executive: What do zoo animals have to do with zumba? Ah, unbridled creativity at its finest! In the opening segment of the film, which plays as an extended commercial for Eden, we meet the blonde boss lady that will surely want to save the park and the animals at the cost of many human lives before realizing, far to late, that the park cannot be saved. You'll have to excuse me in that I have no idea what the names of any of these characters might be, but trust me when I say character development is not why you want to watch Zoombies. You want to watch Zoombies to see zombie giraffes pick college interns out of a tree and literally rip their arms off in a game of zoombie tug-of-war. Seriously, that happens. I can wait here if you want to go watch this film right now. Still here? Huh. 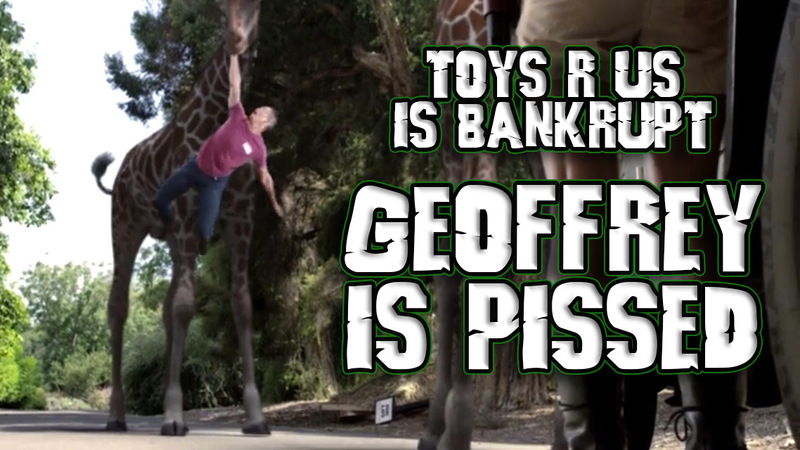 I really thought the zoombie giraffe thing would get you. I really don't have much more to contribute here. How do you feel about zombie lions, warthogs, elephants, and gorillas? Does a zombie parrot do anything for you? How about a zombie Koala bear that a child beats to death with a baseball bat (off-screen)? Look, you know what this is. I know it, and you know it. The CGI is bad. The acting is bad. The story is bad. The stunt person in the gorilla suit that is inter-cut with the CGI is really, truly, very bad. If you're the sort of person that might want to watch Zoombies, you probably already know this about yourself. I enjoyed it.